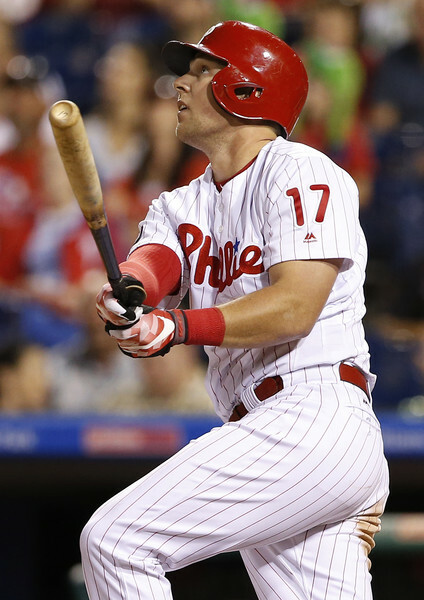 I’m not writing about Rhys Hoskins today because he is an unknown gem, because he will be cheap to acquire, or because he is under-owned. The Phillies’ outfielder is very well-known after he exploded onto the scene last year by blasting 18 home runs during an amazing 50 game stretch. 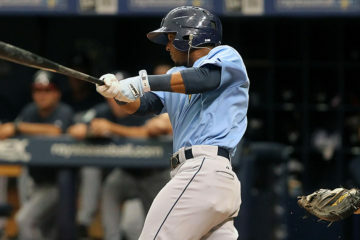 Accordingly, he was drafted at an NFBC Average Draft Position of 48.8 in 2018 drafts and is currently owned in 100% of Fantrax leagues. Instead, I’m writing about him because very little of what he has done is a fluke, and this might be your last chance to acquire him in a trade until sometime in the next decade. This guy has absolutely killed it by every measure. Many would argue that what he has accomplished so far is simply too good to be true. I’ll admit that it would be foolish of anyone to count on Hoskins posting a .364 ISO much longer. However, I’d feel very comfortable wagering that we won’t soon see the floor drop out from under him. I also believe that what he has done thus far is merely a pronounced version of the well-above-average batter that Hoskins will be for a long, long time. His cumulative numbers give us a good idea of the consistency, patience, and power the former fifth-round pick has brought with him to the dish since 2014. What really sticks out is the smooth transition Hoskins has been able to make at every level. When prospect evaluators talk about ‘error bars’ on prospects, they’re accounting for the growing pains prospects will likely have when facing more talented competitors. These growing pains generally manifest when the advanced competition exaggerates player’s flaws and limits their strengths. For example, a player who strikes out 30% of the time in Triple-A might be expected to strike out at 35 or 40% of the time upon their promotion to the majors. Conversely, a player who walks only 8% of the time in Triple-A might walk only 4 to 6% of the time in the majors. When we look at Rhys Hoskins, we’re looking at a player whose error bars have proven to be almost non-existent. While his strikeout rate rose to 21.2% at Double-A, he was able to improve his walk rate and power output at the same time. Since he has arrived at the big leagues he has posted incredible walk rates while maintaining that 21% Double-A strikeout rate, and he has done this while posting ISOs over .300. Even if Hoskins were to see his isolated power drop down to the .260 level this season, that would still put him at about 20th overall amongst players with 250 PA in 2017. What’s clear is that his power is for real. Let’s take a look at some plate-discipline numbers to see what Hoskins has done in the batter’s box during his 250 career plate appearances. I’ve added the rank these stats would have earned Hoskins in 2017 amongst players with over 250 plate appearances, and I’ve also provided a player with comparable outcomes for each statistic. While none of these are perfect comps, each of them is close enough to be encouraging. But can Hoskins maintain this level of plate discipline? It’s hard to assume he will since we have to assume pitchers will continue to test him and will adjust once they find a weakness. However, Hoskins’ ability to wait for good pitches and make hard contact with pitches in the zone means that pitchers will always have little room for error when trying to beat him. Regardless, it’s very obvious that Hoskins has a stellar approach at the plate, and I feel comfortable assuming that his approach will ensure that he continues getting on base at a great rate moving forward. We’ve seen that Rhys Hoskins has adjusted well at each level due to a patient and powerful approach at the plate. This approach, and the power-show he put on at the end of 2017, vaulted him into the top-50 picks in fantasy drafts. All of this is pretty darn good for a guy who never cracked a top-100 prospect list. But what is his value moving forward? When we look for players with similar strikeout-to-walk ratios and power on a level comparable to what Hoskins has shown, we only get back a couple of names: Freddie Freeman and Bryce Harper. In fact, the greatest disparity between these three aside from sample size is in their batting average and BABIP. Hoskins suffered some bad luck last year when he finished with a .259 average compliments of a .241 BABIP. And while the batting average might never reach the heights of Freeman and Harper’s due to a fly-ball oriented approach, look at how he compares to both superstars on every other level. If his ISO falls, if he strikes out more, if he gets on base less, if he posts a lower slugging percentage then he could still potentially hang with these two elites! Because of his patience and power, I’m certain that Hoskins will be worth any ding in batting average he might cost. A guy whose error bars suggest he might live in the neighborhood of a Freddie Freeman and Bryce Harper-level talent is well worth the one-category risk. Especially when he looks ready to post OBPs around .400 for the foreseeable future. I think it is safe to say that Hoskins will be one of baseball’s most valuable dynasty assets moving forward. If you bought in this year with the 48th pick, good for you. You might have made the best pick of the year. If you didn’t draft him in your dynasty league, I’m sorry. Hopefully, a buying window will present itself. Looking beyond 2018, I don’t think we’ll see Hoskins fall past the first 12 or 15 picks for a very long while. This guy is really, really good. 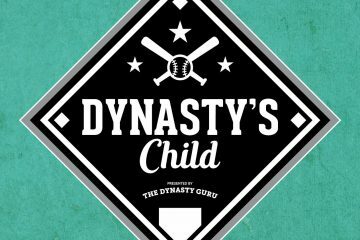 Joey Lucchesi: Worth the Investment?